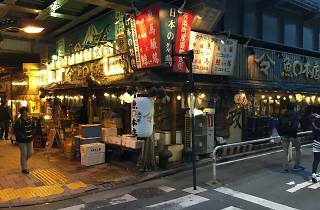 'Fish shack' is the term sometimes used to describe these seafood-leaning izakayas that you can find all over town. 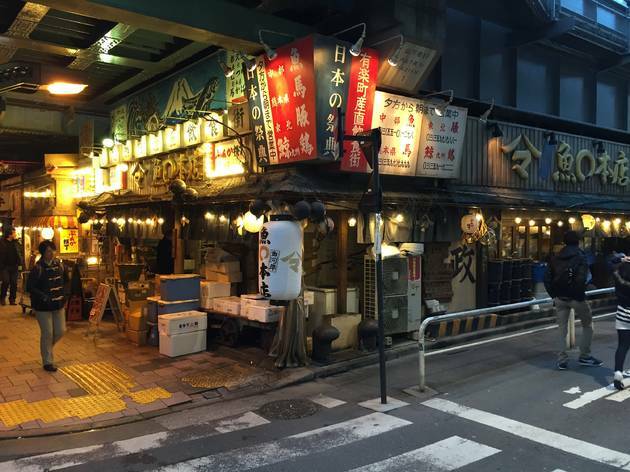 This one is the most prominent of several such spots that huddle under the railway arches around Yurakucho Station, in the area called Sanchoku Inshokugai. 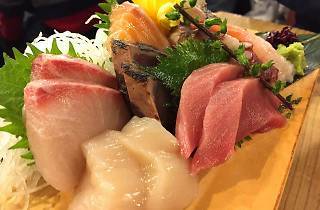 So close to Ginza with its chi-chi attitude and inflated prices, Uomaru is somewhere to let your hair down. There’s a laminated menu with the prices clearly shown; the head waiter speaks quite reasonable English. 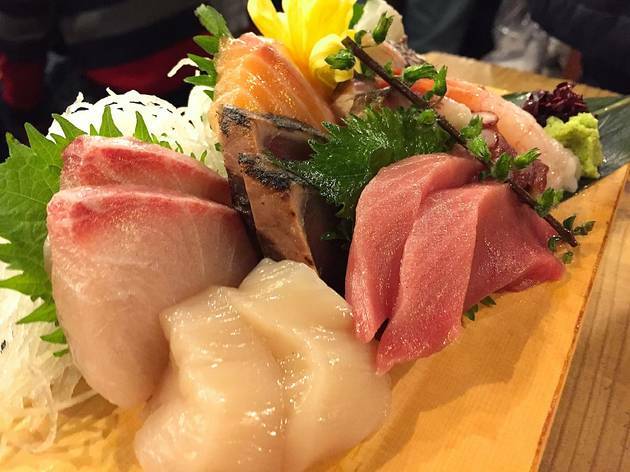 If you're playing safe you can stick to a sashimi platter or some mixed tempura; plates tend to cost around ¥1,000 each, so order one per person and treat them as sharing plates. 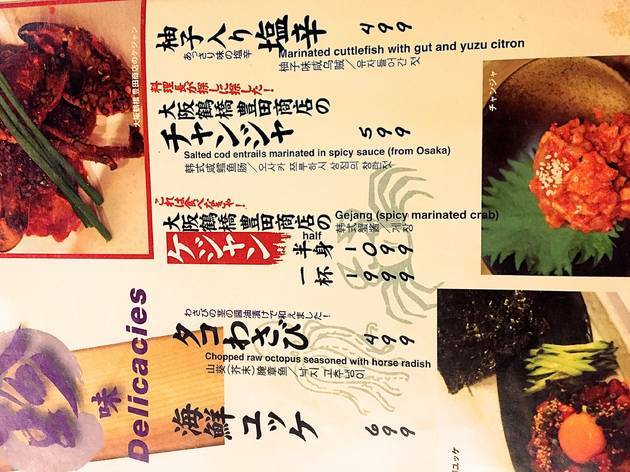 If you fancy something more adventurous there are plenty of options, such as cuttlefish marinated in its own gut with yuzu, or Korean-style spicy marinated crab. 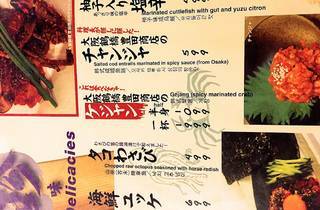 This being an izakaya, it’s the bill for beer or sake that can easily double the total or worse, but you’ll leave happy regardless: compared to the price of a mere snack in adjacent Ginza, everything here feels like a bargain.